The promoter of the Primorye Integrated Entertainment Zone (IEZ) in the Russian Far East says it plans to lease by year-end all of the land plots earmarked for phase one. In an interview with GGRAsia, the director general of the Primorsky Krai Development Corp (PDC), Igor Trofimov, said the corporation expected two new investment agreements to be announced shortly. “We hope to lease all of the land plots [in phase one] by the end of this year,” stated Mr Trofimov, speaking last week at the PDC’s headquarters. Currently, there are six land plots available for private investors, he added. The Primorye IEZ (pictured), a casino development area located 50 kilometres (31 miles) from Russia’s Pacific port city of Vladivostok, is being promoted by the PDC, a government-owned company under the Department of Tourism of the Primorsky provincial government. The IEZ occupies 619 hectares (1,530 acres). About a dozen properties are envisaged for the first stage of the zone’s development, covering 263 hectares. Mr Trofimov said he had recently signed a preliminary agreement with a Russia-based bookmaker for one of the available plots, spanning 7.89 hectares. The agreement is for a casino hotel with no fewer than 50 rooms, via a total investment of at least RUB7.2 billion (US$109.9 million). “We are just waiting for some documents, so that we move forward with the payment and finalise the investment agreement and lease contract,” the official told us. “The announcement should be made shortly,” he added. The director general confirmed that the PDC is currently in negotiation with South Korean investors under the coordination of K International Inc, a holding company that includes several South Korean firms. That would be for an aggregate investment of at least RUB18 billion, according to official documents. The investor would pay an additional RUB1.2 billion to lease a 19.7-hectare land plot. Mr Trofimov said the South Korean holding company would soon register a local entity in Primorsky, a required condition in order to invest in the Primorye IEZ. “We hope to sign the investment agreement with the Korean investor by the end of November,” he stated. Once those two deals are completed there will still be four plots available for the first phase of the IEZ. Those are to be sold as a single batch. The PDC’s director general said the corporation is currently in negotiation with a number of potential investors “that showed interest in acquiring plots 16 to 19”. “We are in negotiations with Korean companies and NagaCorp, and we are actually finalising the negotiations with NagaCorp,” Mr Trofimov told GGRAsia, referring to Hong Kong-listed casino operator and developer NagaCorp Ltd, already an investor in Primorye. “However, depending on the number of companies interested in these plots, we might launch one more auction,” he added. NagaCorp has begun pile cap work for a casino resort in Primorye, with completion of construction works planned for 2019, with the first phase of the facility opening in 2020. According to the PDC, the first phase of NagaCorp’s project will include a 279-room hotel, casino and a conference hall. It added that the second phase of the casino resort was to be completed by 2022. Plots 16 to 19 are located adjacent to where NagaCorp is already building its casino project. GGRAsia approached NagaCorp regarding the reported plan to acquire more land in the Primorye IEZ, but a representative said the company would not comment on the matter. 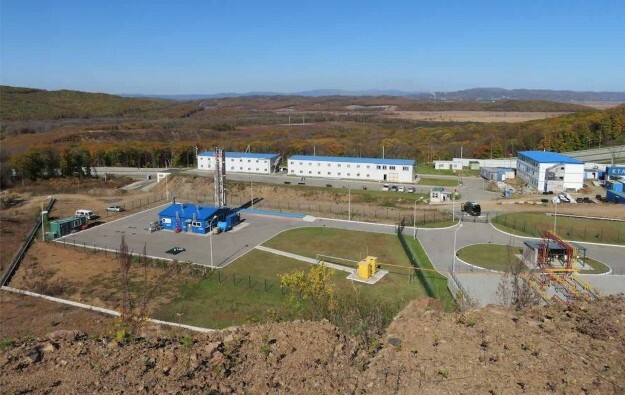 All of the properties planned for the first phase of Primorye IEZ should be in operation by 2025, with the companies expected to invest an aggregate amount of at least US$2.70 billion, according to information provided by the PDC. Investors have committed so far US$2.10 billion for the development of seven casino resorts. Tigre de Cristal, developed by Hong Kong-listed Summit Ascent Holdings Ltd, is currently the only casino property in operation in the Primorye IEZ. The first stage of the scheme opened in 2015 and the company is now working on the property’s expansion. The PDC is also investing in the development of the Primorye IEZ, creating the conditions for private companies to invest. The corporation has already injected a total of US$12 million, and in the next six months plans to invest an additional US$5 million to develop further the IEZ’s electric power network. “Starting from next year, we plan to make use of a federal programme, allowing us to get US$55 million from the federal and local governments for the future development of the IEZ,” said Mr Trofimov. The official said additionally that the development of the second phase of the Primorye IEZ – comprising 356 hectares – would only start after 2025, “once all of the properties and other infrastructure planned for phase one are in operation”.